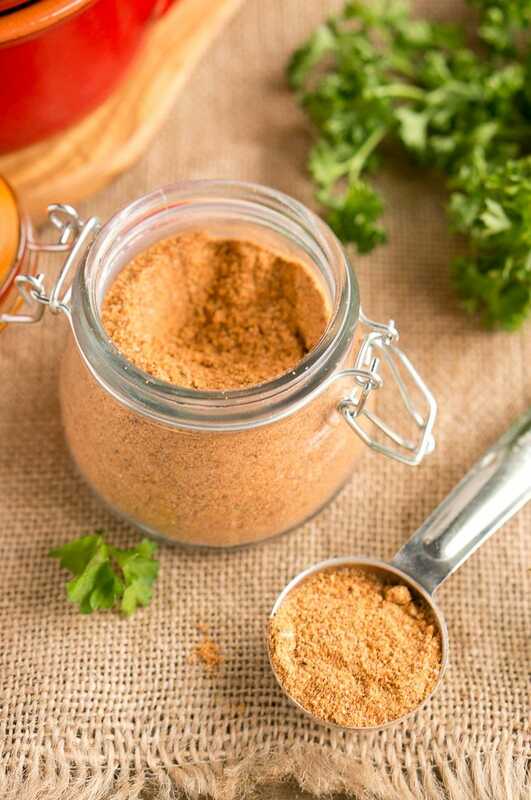 Homemade taco seasoning is easy to make at home, for much less money than the cost of packaged taco seasoning. 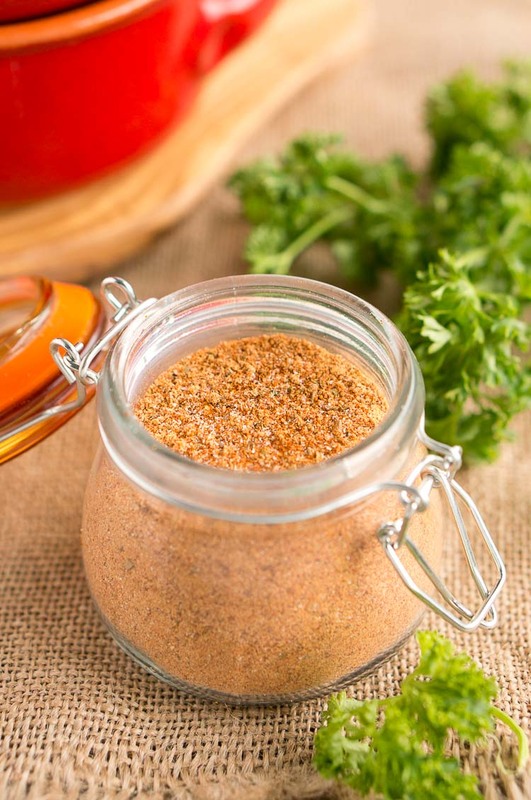 Use fresh spices and our homemade taco seasoning recipe to stock your pantry with homemade seasoning for tacos and other favorite Mexican recipes. Tacos are a quick and easy dinner solution and a family favorite. 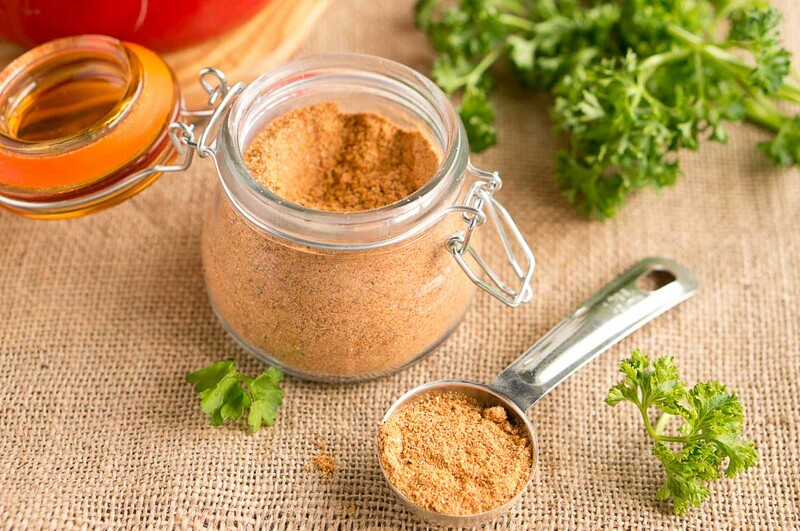 Using homemade taco seasoning for ground beef or turkey creates flavorful meat, and it can be spiced according to your family’s tastes! In addition to tacos, you can add taco seasoning to chili, enchiladas, or even as part of a marinade for carne asada. There are just a few necessary ingredients to make taco seasoning. Chili powder, cumin, onion powder, paprika, and salt are the standard ingredients used. Some taco seasoning recipes also call for the use of cayenne pepper, oregano, and cilantro. Obviously, your preference of spice level plays a factor into which spices to use, and the quantities you will use. To save the most money, you can purchase your spices in bulk, but only do so if you are certain that you will use the spices within six months. After that time, many fresh spices begin to lose their potency and should be replaced. Wholesale food clubs such as Sam’s Club, Costco, or BJ’s carry commercial sized containers of spices. If you have friends or family members who also want to make their own taco seasoning mix, you can purchase and share the spices. 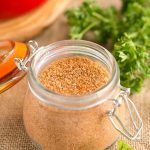 This homemade taco seasoning is great for your favorite Mexican meals, it's easy to make and so flavorful! Better than any store bought taco seasoning. Mix all ingredients together and use taco seasoning for all your favorite Mexican recipes. This makes much more taco seasoning than what you need for 1 pound of meat. I usually make this, store it in a little jar (pictured) and use it throughout the year on tacos, fajitas, and other Mexican recipes. Being able to quickly make my own taco seasoning at home is so great! I usually have everything in here right on hand. Homemade seasoning and spice is fantastic for having complete control of your recipe. I can’t wait to make a batch! Homemade taco seasoning is the way to go! The kind from the store is loaded with sodium. I love your recipe. This sounds like an awesome recipe! I love using taco seasoning, so I’m definitely trying this! Pinned! Homemade seasoning is always the best seasoning!